At Grange Primary School, we recognise that the internet is an amazing resource for children. However, we understand the risks that are involved and educate children about how to minimise these risks. 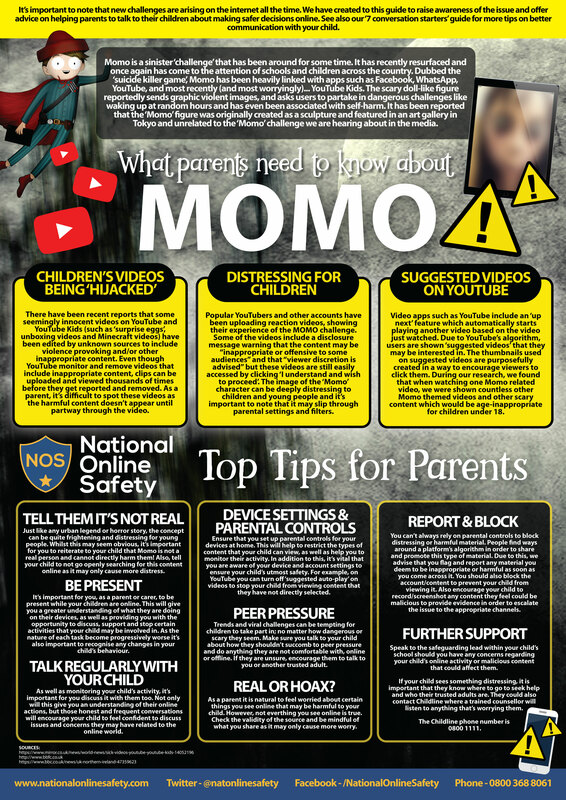 This information will explain some of the main risks to children and offer some advice on how to help your child to understand and manage these risks. Tuesday 6th February was safer internet day this year. Within school each class completed work about how to keep safe online and special assemblies were held. The Be Internet Legends programme is designed to teach your child the skills they need to stay safe and have a positive time online. Your involvement at home can really help reinforce these key messages to help your child become more confident when exploring the online world. Thinkuknow is a great website with practical advice regarding online safety. Check it out using the link underneath. Cleveland Police have distributed the following leaflet which gives lots of practical advice about keeping your children safe online. Our Digital Leaders are a group of pupils of varying ages with an interest and talent in the area of computing. During their weekly groups, the digital leaders will discuss new technologies and apps in the market and feedback to pupils and adults any safety concerns around using such technology.